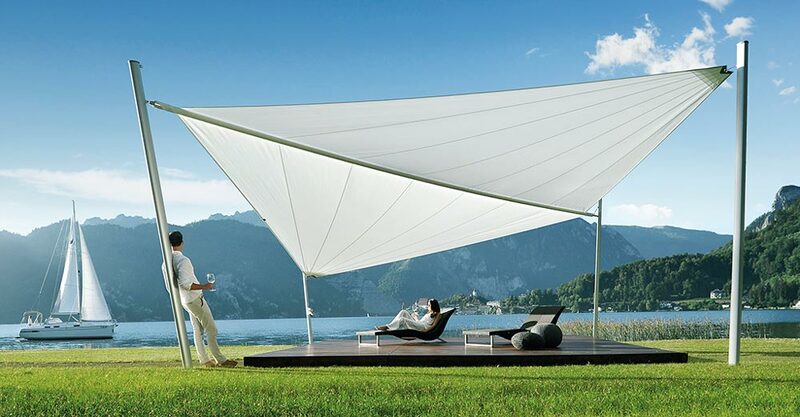 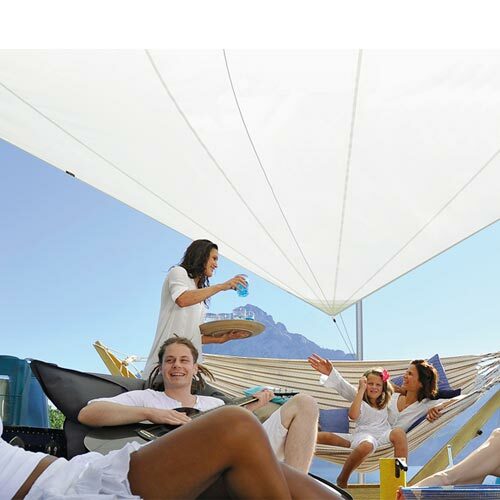 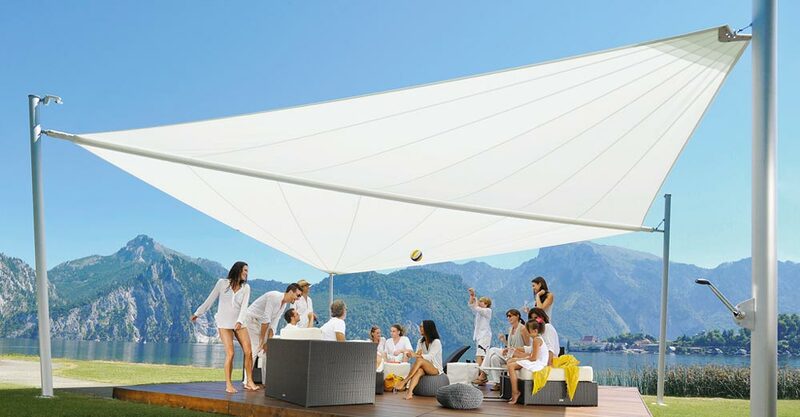 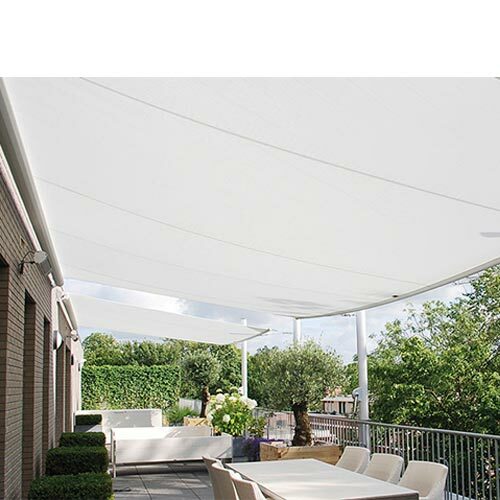 This canopy can be rolled and unrolled automatically and can be continuously adjusted from 0 to 85 m2 to the shade, it is ideal for the terrace. 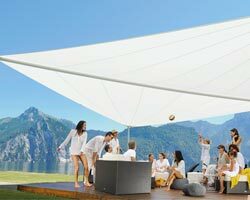 It is operated comfortably through a remote control that is individually adjustable in each position. 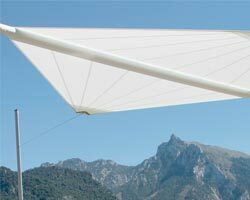 The mast is manufactured in aluminium and can be positioned straight at the conventional angle of 10º. 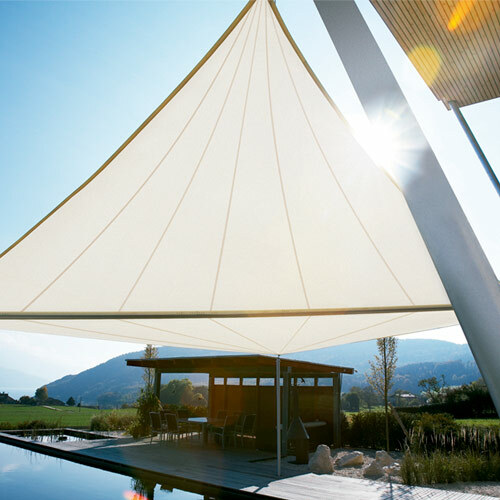 All cables can be placed inside it, achieving a clean and unique appearance. 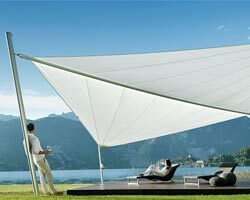 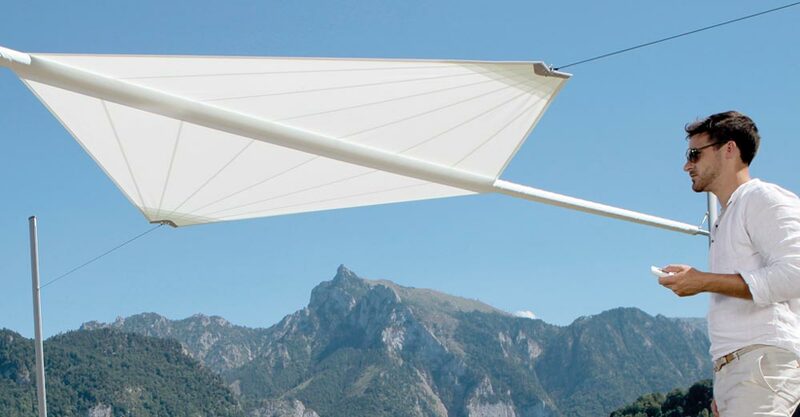 Maximum size of the canopy is 85m2. 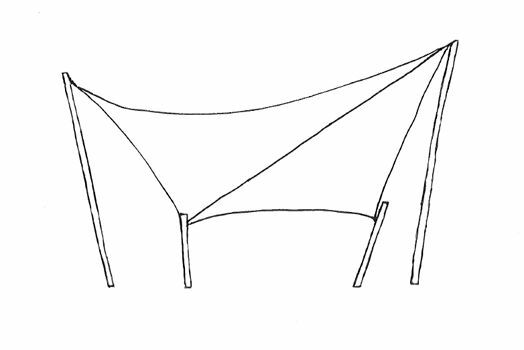 Maximum length of the axis is 11.50m.